Raytheon Company has been awarded a $385,742,176 cost-plus-incentive-fee contract for the engineering and modeling development phase design, development, integration, test and delivery of Air and Missile Defense S-Band Radar (AMDR-S) and Radar Suite Controller (RSC). 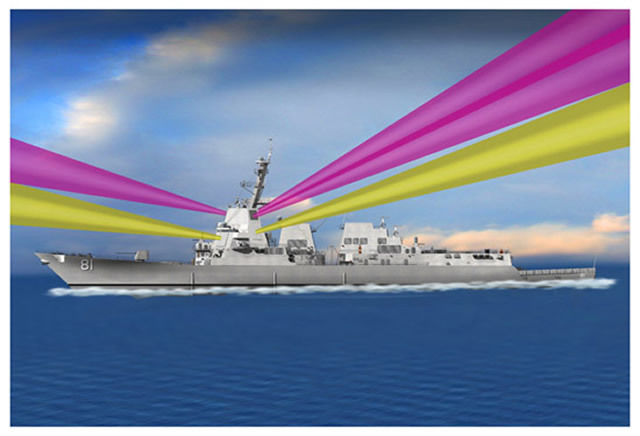 AMDR is the Navy's next generation integrated air and missile defense radar and is being designed for Flight III Arleigh Burke (DDG 51) class destroyers beginning in 2016. AMDR’s radar suite consists of an S-band radar, an X-band radar, and a radar suite controller. AMDR consists of an S-band radar, an X-band radar and a Radar Suite Controller. AMDR-S is a new development integrated air and missile defense radar designed for long range detection and engagement of advanced threats. The X-band radar is an existing horizon-search radar. The RSC provides S- and X-band radar resource management, coordination and interface to the Aegis combat system. Under the contract, Raytheon will build, integrate and test the AMDR-S and RSC Engineering Development Models (EDMs). For the ship sets covered under this contract, the AMDR suite will integrate with the existing AN/SPQ-9B X-band radar. The base contract begins with design work leading to Preliminary Design Review and culminates with system acceptance of the AMDR-S and RSC engineering development models at the end of testing. 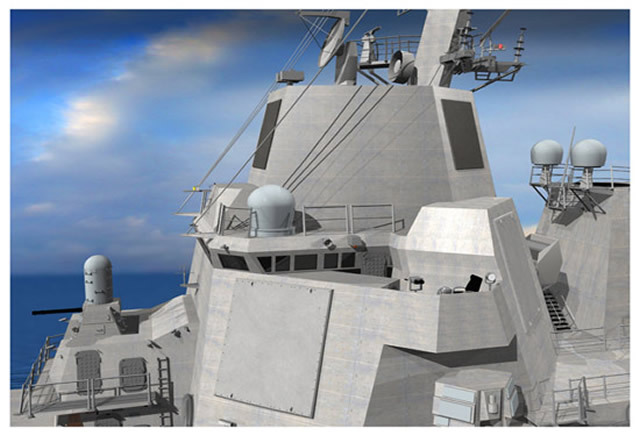 AMDR is the Navy's next generation integrated air and missile defense radar and is being designed for Flight III Arleigh Burke (DDG 51) class destroyers beginning in 2016. This contract includes options which, if exercised, would bring the cumulative value of this contract to $1,633,363,781. Previously appropriated FY13 funding in the amount of $156,960,000 will be obligated at time of award. This contract includes options for manufacturing low-rate initial production systems which may be exercised following Milestone C planned for fiscal year 2017. This contract was awarded following a full and open competition, with three offers received.